Closeouts. 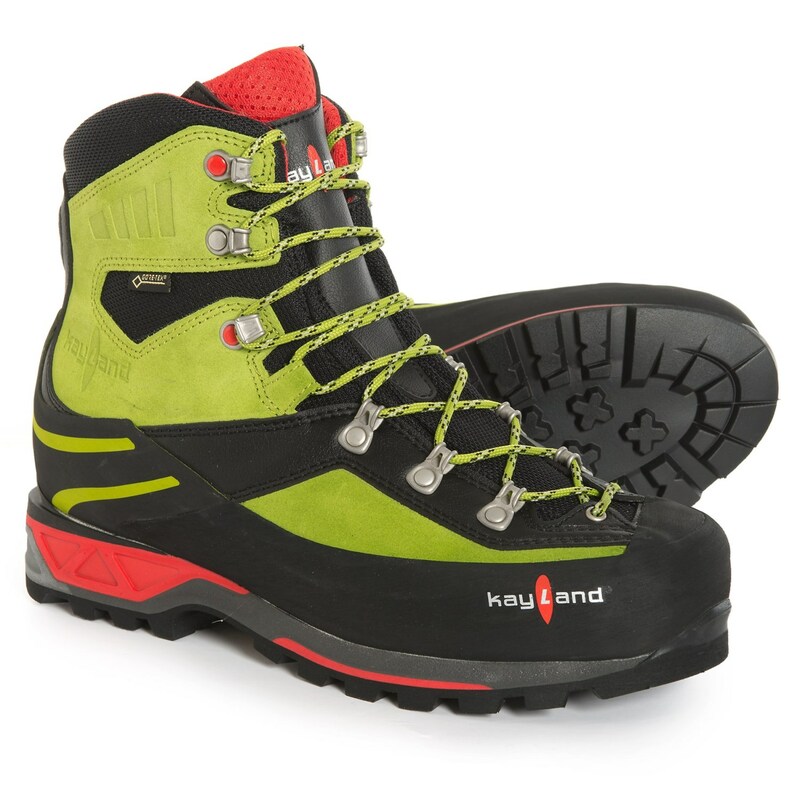 The high point of technical mountain-trekking footwear, the Kayland Apex Rock mountaineering boots have the support and protection necessary for serious high-altitude adventure. These boots feature a highly protective Gore-Tex® Performance Comfort membrane to manage moisture, a stiff Vibram® New Mulaz outsole and a combination of high- and low-density polyurethane in the midsole help your feet stay where they need to be on shifting terrain.